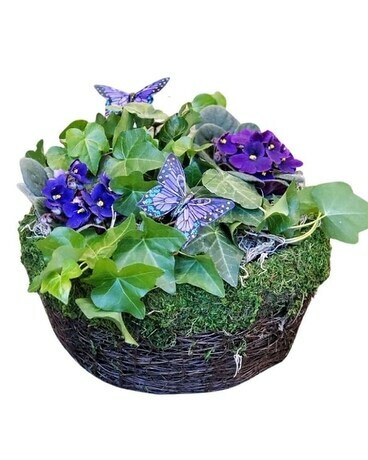 Butterflies and Violets Princeton NJ - Monday Morning Flower and Balloon Co.
Who doesn't love vibrantly colored violet plants and when you combine them with healthy ivy plants and touches of butterflies in a beautiful brown basket, the combination is magical. 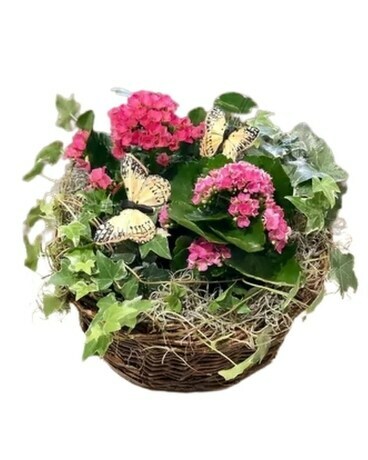 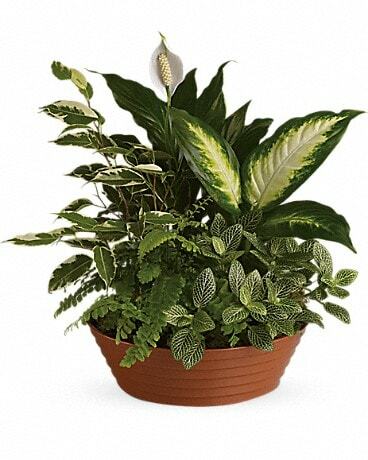 Ideal as an office or hospital gift, fun for home, long lasting and vibrant. 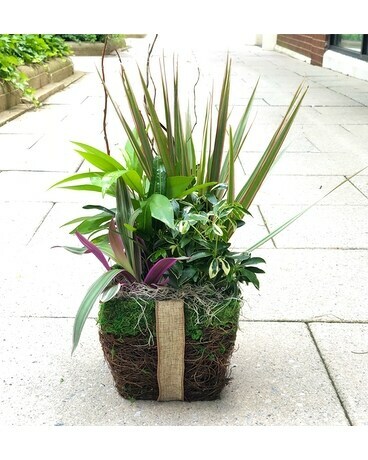 Purchase online or call us at 609-520-2005 to order your gift today. 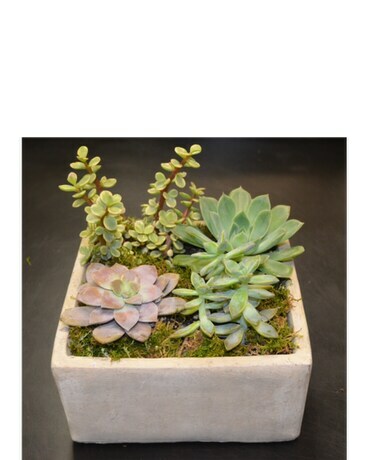 This design measures about 12"X 12" This product may be available for local delivery only. 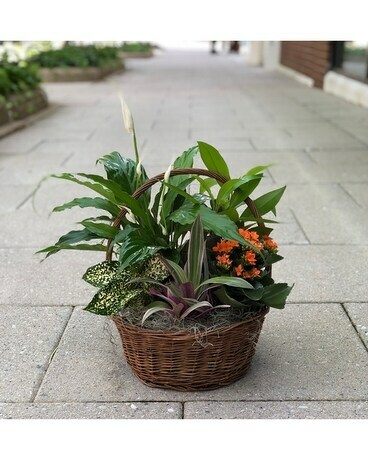 Please feel free to call for more information.